Inground concrete swimming pool specialists. 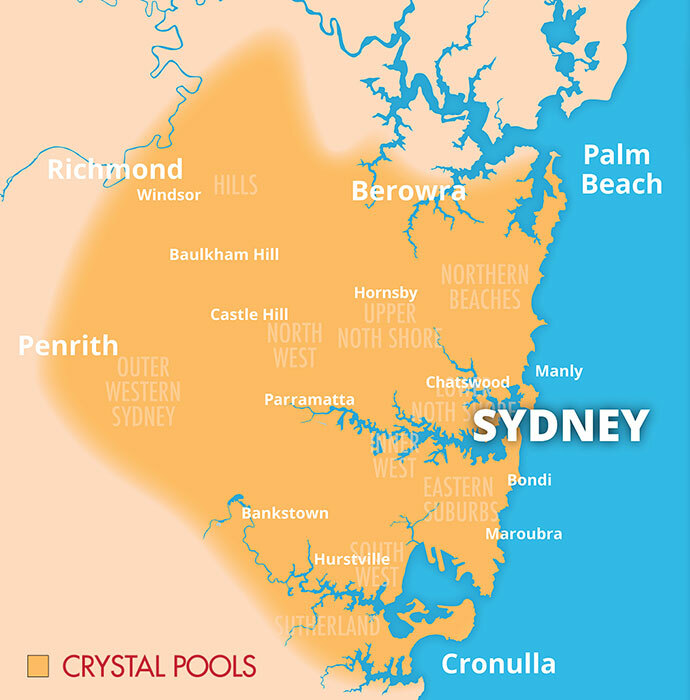 Master builders of Sydney's finest residential pools since 1957. Michael Harris, Crystal Pools Residential Pool Director discusses what makes our pools unique. Find out about our quality craftsmanship and why we select Australian made products. Meet satisfied clients talking about the Wow Factor of their new concrete swimming pools. Our Pool Buyers Guide contains a wealth of information to help you get started. Read articles on Pool Design and Landscaping, the Pool Construction Process, how much an inground pool costs. Plus get information about types of pools, Fiberglass vs Concrete and more. From Olympic pools to 5 star resorts, Crystal Pools is behind some of Australia's most famous and innovative aquatic and government pool complexes. Read about our unique capabilities and expertise; Hydrotherapy, Aquatic Centres, Residential Complexes and more. View Territory: metro, coast & mountains.